Dating back to the 11th century, the city has always been an important trading center. The first mention referred to the settlement as Portus Mercatorum or Merchant’s Harbor, or in Danish Købmannahavn. By the late 16th century, the city was prosperous. King Christian IV founded the first formal trading companies, with explicit permission to trade overseas. During its later history, Copenhagen has suffered many sieges, assaults and even plagues, all taking a great toll on the city. Nonetheless, the city has always withstood and become more beautiful than ever. Today, Copenhagen is a wonderfully happy city. Pedestrian-friendly, bicycle-centric and boat-mad, it is a joy to discover Copenhagen by simply walking through it. We recommend exploring the streets like a local, and work off breakfast at the same time! Families will love the Treasure Hunt by Bicycle tour, where every clue leads to a photographic moment and a new discovery in Copenhagen. Cool and cultural, art and entertainment often go hand in hand. Don’t miss the National Gallery featuring a comprehensive collection of paintings and sculptures that spans over 700 years of Danish art and cultural history. 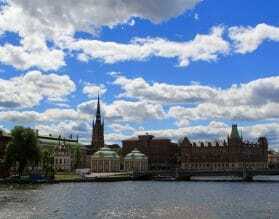 Copenhagen is also home to the famous Tivoli Gardens, Europe’s first amusement park. It is prettiest at dusk, when hundreds of lanterns are strung through its trees illuminating paths for visitors. Copenhagen really is the perfect base for exploring the surrounding Danish countryside. Take a day trip out to North Seland, to visit Karen Blixen’s home, Rungstedland. Author of “Out of Africa”, Karen spent the majority of her life here. Her home is still decorated with it’s original décor and many of her original paintings. 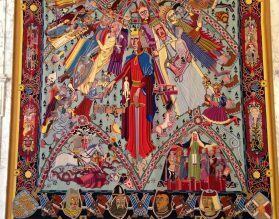 Stop in at the fantastic modern Louisiana Museum of Art and don't miss Elsinore and the Kronborg Castle. Kronborg Castle is one of the best preserved Northern European Renaissance Castles. During its peak of operation, Kronborg’s location made it a critical stronghold for controlling traffic in and out of the Baltic Sea. 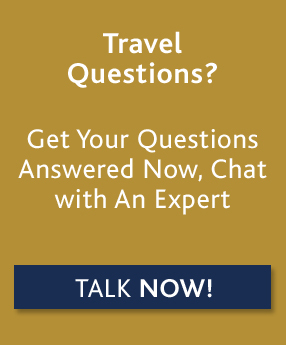 For custom luxury travel and tours to Copenhagen, please contact one of our travel experts, or read on below for more information about where to go and when, along with our Insider's Guide. During the summertime, Copenhagen is a popular embarkation and debarkation city for many cruise lines on Baltic itineraries. For our guests on cruises, we encourage spending a few days at the start or end of your cruise in Copenhagen taking in all the city has to offer. May and September also offer comfortable temperatures, with slightly less crowds and fewer cruise ships. Our team of travel experts can customize a unique program for you based on your exact preferences and interests. We suggest you allow a minimum of three nights in Copenhagen to explore both the city and the surrounding countryside. 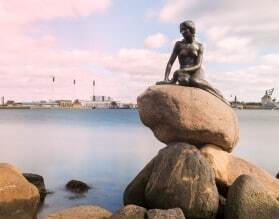 Copenhagen combines wonderfully with other parts of Denmark, Norway and Sweden, as well as, with Lapland further north. 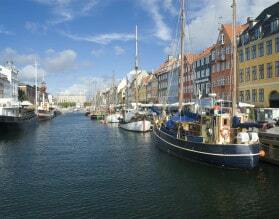 If you are on a Baltic cruise, chances are you may be embarking or disembarking in Copenhagen. We can arrange a private pre/post cruise extension with your own Exeter hand-picked private guide to experience the city before or after your cruise. Our private pre or post cruise extensions ensure that you’ll receive not only the best experience possible, but personalized service throughout, allowing you to maximize your time in the city. On occasion, Copenhagen falls in the middle of a Baltic cruise as a port of call. We can arrange a private shore excursion with your own Exeter hand-picked private guide, just for the day you are in port. Our private shore excursions ensure that you’ll receive not only the best experience possible, but personalized service throughout, allowing you to maximize your time in port. Exeter International has been expertly planning custom itineraries to Copenhagen for well over a decade. Leigh Landis, Senior Sales Manager of Exeter International is our expert for Scandinavia. Let our team plan your trip to Copenhagen and beyond! For those with a sense of adventure, enjoy a biking tour through Copenhagen’s famous cobbled streets or a kayak tour through the scenic canals. It is also possible to hire a row boat in Christianshavn to explore Copenhagen. While you are at it, stop into Mikkeller to taste some of Europe’s best craft beers. See Copenhagen the way the locals do! There is no doubt that Scandinavian food is hot right now. From fine dining to local food markets, Copenhagen has a wide variety of excellent options showcasing this wonderful cuisine. We recommend stopping off in Torvehallerne for lunch one day. This covered market has over 60 food stalls selling everything from fresh produce to sandwiches and traditional Danish dishes. Come hungry, everything is delicious! Something edible of course! Flødeboller has been a staple Danish treat for centuries. Loosely translated as “cream bun,” it is actually neither! This delicious chocolate ball is stuffed with sugar and egg whites and resembles marshmallow more than anything. Each chocolatier has their own spin on flødeboller, but our favorite is from Lagkagehuset. They spice up the traditional desert with hazelnuts and caramel, making it even more mouthwateringly delicious.